We will have practice one to two times a day in a Hatha/vinyasa flow style. On travel days (especially the Bali to Lombok day), we will do our best to fit in asana practice, but we may have to be flexible (pun completely intended). This seems to be a common concern amongst our guests, although no one ever goes hungry in Indonesia–quite the opposite! Sometimes the dishes often sound exotic (like Mie Goreng) but are usually quite accessible (Mie Goreng = “Fried Noodles.”) CLICK HERE for an Indonesian Food Primer that Lauren prepared. We’ll be eating most of our meals at our retreat locations, in addition to some meals during our outings to Ubud, the Gili islands, etc. All meals are included on this adventure. Vegetarian and vegan options are available everywhere (please see more about that below). All of the produce is locally sourced as well as most of the other ingredients used. All food is prepared fresh to order and vegetables and fruits are washed with purified water and are safe to eat. You’ll have two restaurants on your retreat grounds in Sidemen. The one closest to your accommodations has a beautiful open air plan overlooking one of the pools, and it specializes in both Indonesian cuisine and Thai (especially eastern Thai) dishes. You can even get creative with substitutions (Lauren loves the Thai Isan specialty of “larb” made with tofu instead of chicken—refreshing!) Your breakfast will be served every day in this restaurant. The other restaurant is a few minutes walk away on the ground, overlooking another pool. Both restaurants have an attached bar/lounge area for those interested. Both restaurants on the property have an attached bar/lounge for those interested. Your accommodation’s restaurant in Lombok sits directly on the seaside, facing west across the Lombok Strait to Bali’s Mt Agung. This restaurant is truly international, with specialties from India and Thailand, along with classic pastas, soups, sandwiches, salads, and even burgers (along with Indonesian cuisine, of course!) There is a lovely bar that serves beer, wine, and liquor for those interested in having a seaside cocktail. Breakfast here is not to be missed, as anything (and everything!) is on the menu. Speaking of breakfast: Balinese coffee can be quite strong and an acquired taste; beyond that, many restaurants serve instant coffee. If you take your coffee very seriously, you may wish to bring your own favorite instant coffee or a travel French press! We require that our guests carry travel insurance. It’s a relatively small expense but affords huge peace of mind! When choosing a travel insurance policy we require that you are covered for medical expenses including emergency repatriation. We also recommend you take out trip cancellation insurance, as this may cover cancellation penalties in certain circumstances if you have to cancel your trip unexpectedly due to illness, injury or unforeseen circumstances. Please see RetreaTours.com/travel-insurance to get started. That mostly depends on how many “extras” you wish to indulge in (spa treatments, massages, extra activities). We’ll let you know about these average amounts and the cost of extra excursions after registration. Our hotel in Sidemen, Bali is nestled amid working rice fields. We have access to three pools and two restaurants (one specializing in Indonesian and Thai food, one in Indonesian and Western food). In Sidemen, the wifi is stronger in the common areas, although some rooms still have a good signal. It’s best to have a Universal Travel Adaptor that can go with you anywhere in the world! Before the trip begins we will give you the contact information for our hotels. If you choose to bring your cell phone or tablet, you can use VoIP services such as Skype, WhatsApp, and FaceTime to connect with your loved ones at home, as well. You will also wish to download the WhatsApp app for intra-group communicaton immediaely before and during the journey. Based on historical averages, we expect the the temperature ranges for your journey to be from 66°F to 90°F. Laundry services will available to you at both of your hotels (at an additional fee). We require that each guest carries travel insurance that covers emergency medical treatment and emergency evacuation and repatriation. Squaremouth.com is another insurance comparison site, with very clear options (such as trip cancellation, pre-existing conditions, cancel for any reason, etc). Squaremouth’s interface is very easy and intuitive to use! Please allow $1400 to $1600 for a roundtrip flight to/from the Washington, D.C. area. You can see our advice on flying from the U.S. to Bali in this blog post. Please email [email protected] if you have any questions about this journey. After 15 years in the video sales business, which included 12 years as the Eastern Regional Manager for Orion Pictures Corporation, Jennifer Matthaei Cottrell started her own business, You’ve Got It Made, specializing in promotional products, advertising specialties, and imprinted apparel. In its 17th year of operation, You’ve Got It Made has provided branded products for such diverse companies as Central Atlantic Toyota Distributors, Catholic Charities, and DARCARS Automotive Group. In addition to being a successful businesswoman, she is a registered yoga teacher (Yoga Alliance) who has over 35 years of involvement in the Yoga community. She is a certified Yoga Therapist, under the aegis of the International Association of Yoga Therapists. Jennifer is a dedicated Yoga teacher, having achieved E-RYT 200, and RYT 500. Additionally, she is certified in Radiant Child Yoga levels one and two, Meditation Facilitation, and Ayurvedic Wellness Counseling, with an additional certification in Ayurvedic Pulse Technique. She currently teaches Yoga in Harrisonburg, VA at James Madison University, The Center Yoga, Rockingham County Parks and Recreation, as well as in private classes at her home studio, where she also conducts meditation classes and Ayurvedic wellness consultations. Previously, she taught in Virginia at Blue Ridge Community College, and in Maryland at The Westminster Family Wellness Center, Yama Studio, and Carroll Community College – [email protected] summer camp program. 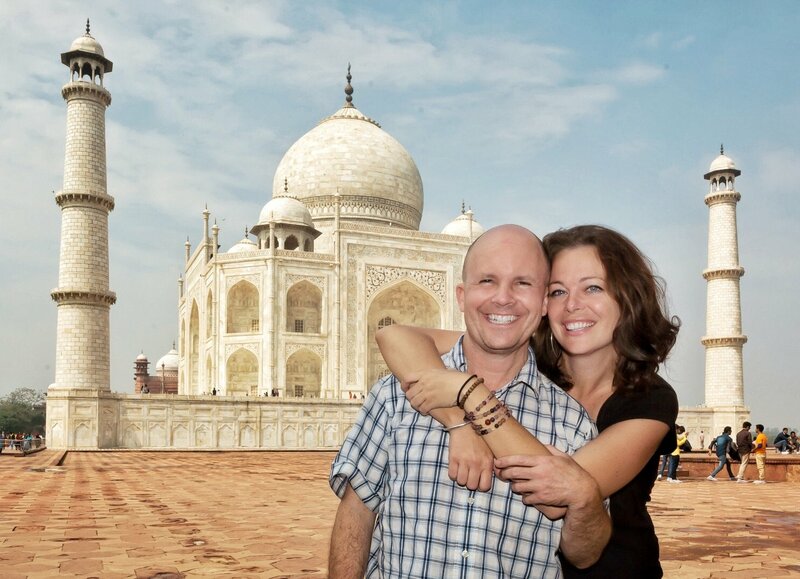 She has also presented Ayurvedic workshops at Yama Studios in Baltimore, MD, and at Skin and Zen, in Harrisonburg, VA. Jennifer led a fantastic India RetreaTour to Ladakh and Rishikesh with RetreaTours in Summer 2018. An arts and crafts lover from early childhood, Jennifer recently discovered Zentangle, and in October of 2013 became a Certified Zentangle Teacher. She offers this wonderfully meditative instruction through James Madison University’s Life Long Learning Institute, and Rockingham County Parks and Recreation, as well as private parties and lessons. Jennifer is always seeking opportunities to enhance her teaching of holistic wellness. Jennifer wants share her passion for adventure, Yoga, and spiritual growth with willing fellow travelers. Click here to email Jennifer directly. Although BJ & Lauren will not be with you in person on this journey, they know you are in good hands with Jennifer and their trusted Indonesian partners!